#c535+1 is 535 US congress +1 president executive. #c7320+9 is reformed 7320 US congress +9 president executives. #c535+1 is democracy for the few. #c7320+9 is democracy for the many. #c535+1 gender discriminates. #c7320+9 never discriminates. #c535+1 allows war. #c7320+9 demands peace. #c535+1 makes war. #c7320+9 makes peace. #c535+1 allows preemptive war. #c7320+9 demands declared war. #c535+1 runs off to war. #c7320+9 declares war. #c535+1 leads to 1%owns80%. #c7320+9 leads to 80%owns80%. #c535+1 hires a federal reserve. #c7320+9 personally manages monetary policy. #c535+1 tolerates economic extortion. #c7320+9 eliminates extortion. #c535+1 is endless recession. #c7320+9 is dynamic growth capitalism. #c535+1 is capitalism lost. #c7320+9 is capitalism renewed. #c535+1 prints fiat dollars. #c7320+9 creates value-based dollars. #c535+1 allows dollar devaluation. #c7320+9 demands dollar strength. #c535+1 allows wallstreet theft. #c7320+9 creates monetary policy. #c535+1 accepts flat/decreasing wages. #c7320+9 demands increased wages. #c535+1 accepts high prices/CPI. #c7320+9 fights high prices/CPI. #c535+1 ignores high prices. #c7320+9 decreases prices. #c535+1 creates debt. #c7320+9 creates surplus. #c535+1 accepts home foreclosures. #c7320+9 creates home ownership. #c535+1 allows an underclass. #c7320+9 expands middle America. #c535+1 tolerates unemployment. #c7320+9 is 24/7/365 jobs, jobs, jobs. #c535+1 is endless recession. #c7320+9 is a path to growth. #c535+1 tolerates recession. #c7320+9 demands growth. #c535+1 is about taxes,debt,spending. #c7320+9 is about democracy. #c535+1 loans money. #c7320+9 creates ownership. #c535+1 tolerates the robber-class. #c7320+9 defends the robbed. #c535+1 tolerates low pay. #c7320+9 expands ownership rights. #c535+1 is about taxes. #c7320+9 is about income. #c535+1 tolerates wallstreet theft. #c7320+9 fights wallstreet theft. #c535+1 accepts home foreclosures. #c7320+9 fights home foreclosures. #c535+1 is a wallstreet bonus. #c7320+9 is a transaction tax. #c535+1 is 10%owns80%.#c7320+9 is an ownership tax. #c535+1 is wealthy-elite taxbreak. #c7320+9 is middle-America tax break. #c535+1 runs moneyed elections. #c7320+9 runs grass-root elections. #c535+1 demands big salaries. #c7320+9 accepts median salary. #c535+1 is bureaucratic power. #c7320+9 is people power. #c535+1 relies on law. #c7320+9 relies on consensus. #c535+1 is about control. #c7320+9 is about freedom. #c535+1 is divisive. #c7320+9 is unifying. #c535+1 is election centered. #c7320+9 is democracy centered. #c535+1 is incapable of tough decision. #c7320+9 lives for tough decisions. #c535+1 is good-cop/bad-cop elections. #c7320+9 is unity elections. #c535+1 is 5% representation. #c7320+9 is 1790 representation. #c535+1 supports federal centralization. #c7320+9 supports local government. #c535+1 is democracy lost. #c7320+9 is democracy inspired. #c535+1 is about money. #c7320+9 is about people. #c535+1 is oligarchy. #c7320+9 is democracy. #c535+1 rewards the rogue. #c7320+9 rewards the collaborator. #c535+1 writes laws. #c7320+9 expands freedoms. #c535+1 relies on lawyers. #c7320+9 relies on citizens. #c535+1 is about power. #c7320+9 is about democracy. #c535+1 prunes democracy. 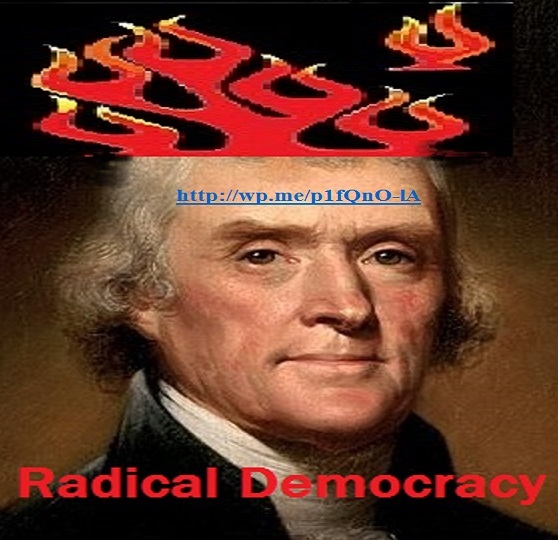 #c7320+9 grafts democracy. #c535+1 believes in lawyers. #c7320+9 believes in fair play. #c535+1 is about salary. #c7320+9 is about country. #c535+1 allows usurpation. #c7320+9 demands representation. #c535+1 allows moneyed elections. #c7320+9 demands fair elections. #c535+1 is about taxes. #c7320+9 is about service. #c535+1 governs from weakness. #c7320+9 governs from strength. #c535+1 is doubtful governance. #c7320+9 is inspired governance. #c535+1 is active. #c7320+9 is 24/7/365 busy. #c535+1 is competent? #c7320+9 gets the job done. #c535+1 tolerates stagnation/regression. #c7320+9 demands progress. #c535+1 engages in malfeasance. #c7320+9 possesses a moral compass. #c535+1 is misguided. #c7320+9 maintains high moral ground. #c535+1 is leadership lost. #c7320+9 is leadership inspired. #c535+1 allows fear. #c7320+9 inspires courage. #c535+1 allows despair. inspires hope. #c535+1 is leadership. #c7320+9 is inspired leadership. #c535+1 is totally confused. #c7320+9 is totally righteous. #c535+1 is diminishing approval. #c7320+9 is skyrocketing approval. #c535+1 is indecision. #c7320+9 is already decided. #c535+1 relies on incarceration. #c7320+9 relies on freedom. #c535+1 listens to lobbyists. #c7320+9 listens to citizens. #c535+1 has low ratings. #c7320+9 is super rated. #c535+1 allows mismanagement. #c7320+9 manages. #c535+1 is about winning power. #c7320+9 is about sharing power. #c535+1 tries hard. succeeds. #c7320+9#c535+1 is about words. is about action. #c535+1 talks about change. #c7320+9 is change. #c535+1 is about ideas. #c7320+9 is about dreams, big dreams. #c535+1 has synergy. #c7320+9 is beyond synergy. #c535+1 accepts futility. #c7320+9 fosters hope. #c535+1 eliminates options. #c7320+9 creates alternatives. #c535+1 is frustrated. #c7320+9 dreams big dreams. #c535+1 is slightlly trusted. #c7320+9 is completely trusted. #c535+1 tolerates dishonesty. #c7320+9 inspires honesty. #c535+1 is cronyism. #c7320+9 is justice. #c535+1 is lobbied. #c7320+9 is objective. #c535+1 is corruptible. #c7320+9 is totally incorruptible. #c535+1 lacks a moral compass. #c7320+9 is totally righteous. #c535+1 is questionable. #c7320+9 is clearly trustworthy. #c535+1 supports the status quo. #c7320+9 demands growth. #c535+1 is for the past. #c7320+9 is for the future. #c535+1 tolerates the reactionary. #c7320+9 plans the future. #c535+1 is reactionary diversion. #c7320+9 is real change. #c535+1 dwells in the past. is the future. #c7320+9#c535+1 tolerates stagnation. demands change. #c535+1 tolerates stalemate. #c7320+9 demands solutions. #c535+1 threatens disaster. #c7320+9 secures the future. #c535+1 is yesterday. #c7320+9 is tomorrow. #c535+1 is a future of fear. #c7320+9 is a future of opportunity. #c535+1 argues ideology. #c7320+9 improves healthcare. #c535+1 argues ideology. #c7320+9 improves safety-nets. #c535+1 allows ignorance. #c7320+9 supports education. #c535+1 avoids immigration reform. #c7320+9 creates comprehensive reform. #c535+1 ignores citizen health. #c7320+9 reforms healthcare. #c535+1 tolerates pollution. #c7320+9 defends ecology. #c535+1 tolerates dirty/dangerous energy. #c7320+9 supports clean/safe energy. #c535+1 legislates for insurance. #c7320+9 legislates for healthcare. #c535+1 is far away. #c7320+9 is nearby. #c535+1 is too busy. #c7320+9 is readily available. #c535+1 argues. #c7320+9 finds consensus. #c535+1 allows fabrication. #c7320+9 demands clarification. #c535+1 allows opaque government. #c7320+9 demands transparency. #c535+1 allows misdirection#c7320+9 provides guidance. #c535+1 is indifferent. #c7320+9 is actively concerned. #c535+1 is opaque governance. #c7320+9 is transparent governance. #c535+1 is out of touch. #c7320+9 is closely connected. #c535+1 tolerates propaganda. #c7320+9 demands truth. #c535+1 is secretive. #c7320+9 is headlining. #c535+1 is connected. #c7320+9 is much more connected. #c535+1 is informed. #c7320+9 is finished already. #c535+1 talks religion. #c7320+9 talks liberty. #c535+1 is secretive. #c7320+9 is open. #c535+1 is difficult conversation. #c7320+9 is easy conversation. #c535+1 makes it intricate. #c7320+9 makes it simple. #c535+1 is ambiguous. #c7320+9 is common sense. #c535+1 is tedious. #c7320+9 is exciting. #c535+1 is way to serious. #c7320+9 is too much fun. #c535+1 are superstars. #c7320+9 are team mates. #c535+1 is boring. #c7320+9 is dynamic. #c535+1 is losing approval. #c7320+9 is a reality TV hit. #c535+1 is super. #c7320+9 is 20x beyond super. #c535+1 is smart. #c7320+9 is 20x beyond smart. #c535+1 is savvy. #c7320+9 is much more savvy. #c535+1 is cool. #c7320+9 is beyond cool. #c535+1 is hardworking. #c7320+9 is 24/7/365. #c535+1 is intelligent. #c7320+9 is genius. #c535+1 is active. #c7320+9 is proactive. #c535+1 is pretty. #c7320+9 is beautiful. #c535+1 is brave. #c7320+9 is heroic. #c535+1 is tough. #c7320+9 is invincible. #c535+1 is formal. #c7320+9 is casual. #c535+1 is a corner office. #c7320+9 is a big tent. #c535+1 are the stars. #c7320+9 are the stars and stripes. #c535+1 is the seal team. #c7320+9 is the full brigade. #c535+1 is justice spoken. #c7320+9 is justice practiced.